Daryl Johnson (Worcester Park, United Kingdom) on 3 September 2009 in Architecture. 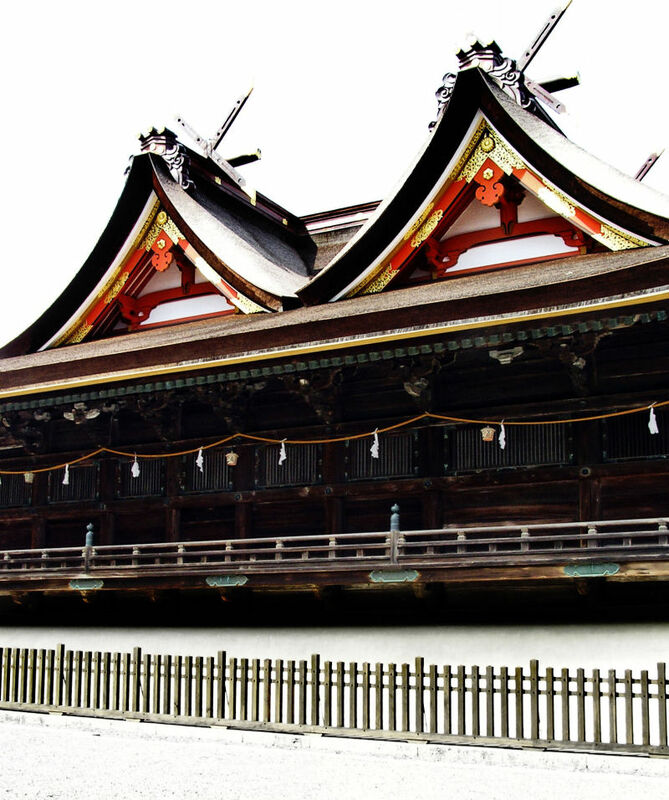 The shrine is famous for the distinctive double-gabled roof on its main building. Here again the colours contrast is superb! a new hairstyle for girls!! LOOOLLLL!!!! @marc: Oh! Freaky! Thanks marc. Making me wish I could visit Japan. Very high contrast for this color picture. I don't think I have visited that place. @akarui: It's fairly near Okayama city - do you know the Kibi plain Olivier? It's near that area. Roofs are always attractive at shrines......but not easy to capture!